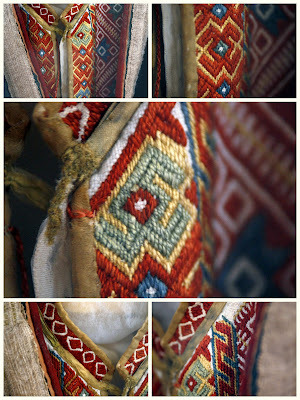 That is really nice looking embroidery. Do you have more information, such as time period? I have also seen 19th century Russian embroidery that had patterns similar to medieval German brick stitch. So you have any photos that show the entire garment?